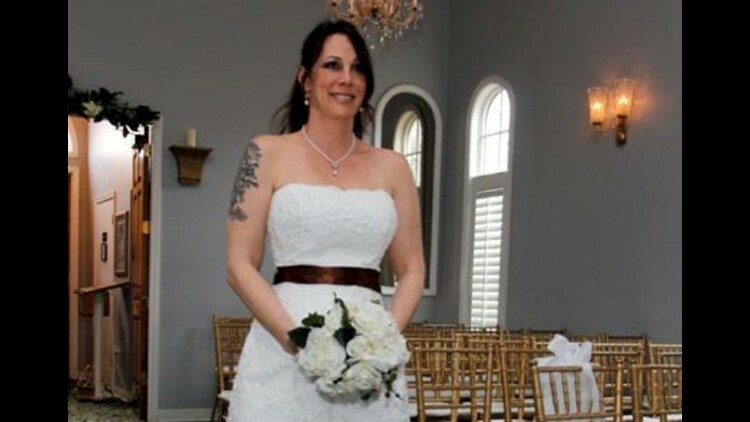 Marine widow marries in Nashville while civil case drags on in federal court for years. SAN DIEGO (CBS 8) -- A judge is considering granting a summary judgment motion to toss out a $20 million dollar lawsuit filed by a Marine widow, who was once charged with poisoning her husband with arsenic. After Cynthia Sommer's arrest in 2005, she spent two and a half years in jail facing murder charges, before she was set free in 2008. She filed suit San Diego federal court in 2009. The mother of four took the witness stand in her own defense during a sensational murder trial, where a jury convicted her of poisoning her Marine husband, Sgt. Todd Sommer. At trial, the defense argued Sgt. Sommer, 23, died of a heart attack, which was the cause of death listed on his original death certificate. Sommer's sexual lifestyle following her husband's death was also put on trial, and prosecutors argued the motive for murder was her husband's $250,000 life insurance policy. Sommer, 39, is now a newlywed and still fighting to clear her name. In January, she married for the third time in Nashville, wearing a white gown and cowboy boots. "She married a fireman and she's doing well. Every time I talk to her she's doing well," said Sommer's civil attorney, Robert Rosenthal. Sommer is living in Michigan with her husband and uses a different last name. "Cindy is trying to put her life back together," said Rosenthal. "She's still haunted by being categorized as the murderer of her husband." Sommer was freed from jail after lab testing showed no arsenic whatsoever in a batch of tissues from her dead husband's body; tissues that had never been tested before her trial. Why those tissues were not tested earlier is now the basis of the wrongful prosecution lawsuit filed by Rosenthal. "It's a difficult road and we've been fighting this case for several years, but I believe strongly this case should go to a jury," said Rosenthal. But after four years of litigation, two judges, and numerous depositions, a jury may not get to hear the lawsuit after all. Lawyers representing San Diego County District Attorney Bonnie Dumanis and former Deputy District Attorney Laura Gunn argued Thursday that the case should be thrown out. U.S. District Court Judge Cathy Ann Bencivengo appeared to agree with them. Gunn, who no longer works as a prosecutor, attended the four-hour hearing as her attorney argued there was nothing malicious about the investigation of Sommer. Gunn, 49, and her attorney declined to comment on the case outside court Thursday afternoon. But one thing became clear during Thursday's hearing: government attorneys still believe Sommer murdered her Marine husband. They argued the tissue testing that freed Sommer from jail -- and resulted in criminal charges being dropped -- was flawed. They pointed out that other tissues from Sgt. Sommer's body showed extremely high levels of arsenic. Experts on both sides disagreed whether there could have been contamination of the tissues during storage, transportation or the testing itself. "What we have here is a difference of opinion," said Assistant U.S. Attorney Beth Clukey, who told the judge that arsenic could have been washed away during the processing of tissue samples that later tested clean. Still, there is no indication that criminal charges will ever be refiled and Judge Bencivengo indicated she was not going retry the criminal case. Bencivengo will only decide whether D.A. Dumanis, prosecutor Gunn, San Diego County Medical Examiner Glenn Wagner, NCIS investigators, and military lab technicians showed reckless disregard for the truth. It's a difficult legal standard to meet. If Judge Bencivengo concludes that investigators did not deliberately falsify evidence and/or show reckless disregard; she could issue an order to dismiss the case. "She can throw the whole case out. She can throw out any individuals, or any particular cause of action, or any parts of any cause of action," said attorney Rosenthal. The judge is expected to issue her written ruling on the summary judgment motion in the coming weeks. Still, that doesn't mean the civil case is dead. "(The ruling) is appealable and whether or not we appeal will be something I discuss with my client," said Rosenthal.